The results are in: voters said YES to prohibit local grocery taxes! This is a victory for all Washingtonians who stood up to prevent regressive taxes on their foods and beverages. Yes! To Affordable Groceries is a group of citizens, businesses and community organizations actively opposing new taxes on everyday grocery items, such as meats, dairy and beverages. We’re taking a stand to bring fairness to our tax structure, to protect jobs and neighborhood businesses and to prevent excessive taxation on what we eat and drink. Join us to say YES to keeping groceries affordable. For all press inquiries, please contact: media@yestoaffordablegroceries.com. For a full list of our coalition partners, please visit our Partners page. Yes on I-1634 protects working families, farmers, and local businesses. Washington state does not tax groceries but a loophole allows local governments to do so. I-1634 would ensure that our groceries – foods and beverages that we consume every day – are protected from any new or increased local tax, fee, or assessment. The rising cost of living makes it harder for families to afford the basics. Special interest groups across the country, and here in Washington, are proposing taxes on groceries like meats, dairy and juices – basic necessities for all families. I-1634 would prevent local governments from enacting new taxes on groceries. Higher grocery prices don’t hurt the wealthy elites but crush the middle class and those on fixed incomes, including the elderly. Take a stand for fairness. Washington has the most regressive tax system in the country and places a larger tax burden on the backs of middle and fixed-income families than the wealthy. Taxes on groceries make our current tax structure even more unfair for those struggling to make ends meet. Bipartisan and diverse support for I-1634 from citizens, farmers, local businesses, and community organizations. Organizations that represent Washington farmers (Washington Farm Bureau, Tree Fruit Association, State Dairy Federation), labor (Joint Council of Teamsters, International Association of Machinists, Seattle Building Trades), and business (Washington Beverage Association, Washington Food Industry Association, Washington Retail Association, Korean American Grocers Association) are united in supporting I-1634 to keep our groceries affordable. By voting yes on I-1634, you can take a stand for affordability and fairness for Washington’s working families. Grocery taxes hit working families the hardest, and cost the state jobs in a vital part of our economy. While the Washington state government doesn’t currently collect taxes on food and beverages, there is a loophole in the law that lets local governments impose taxes on groceries. The Seattle City Council exploited this loophole in 2017 to pass a tax on beverages. The tax raised beverage prices astronomically, but prices on other products also went up (including juice drinks, teas, coffees, kombucha and almond milk) as business owners worked to implement the complicated policy. There’s nothing to stop other cities and towns from doing the same thing with any grocery items. I-1634 takes a proactive step to close this loophole and prevent any new taxes on food, beverages and their ingredients in Washington. Having a measure in place to prevent these types of sweeping taxes is important to Washington’s small businesses, restaurants, grocers and working families. 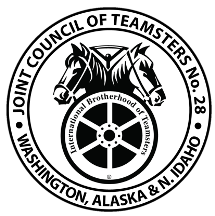 The initiative is supported by the Joint Council of Teamsters No. 28, Washington Farm Bureau, Washington Food Industry Association, and Korean-American Grocers Association of Washington, and sponsored by the American Beverage Association, whose member companies support thousands of people who live and work in Washington. A broad and diverse coalition of partners are backing this initiative because they are committed to efforts to prevent these types of sweeping taxes that will adversely impact Washington’s small businesses, restaurants, grocers, and working families. And our coalition is growing. Check out the more than 1,000 partners including small businesses, industry associations, farm bureaus, local Teamsters chapters, Chambers of Commerce and individuals who are drawing the line at attempts to tax food and beverages that make groceries unaffordable. What do we know about the potential impact grocery taxes can have on businesses and the economy? A recent Oxford Economic Study found that in Philadelphia, after implementation of their controversial beverage tax, nearly 1,200 were affected, GDP fell by $80 million, and labor income dropped by $54 million. The job losses impacted the retail, manufacturing and transportation sectors. The measure resulted in people shopping outside the city to avoid the beverage tax. And it wasn’t just confined to beverages as overall grocery sales dropped in Philadelphia and rose in the suburbs – why would shoppers leave the city just to purchase tax-free beverages? They don’t, they take the entire grocery cart with them. This hurt small businesses in Philadelphia and their workers, who saw layoffs and trimming of hours. People did not change their eating or drinking habits, they just changed where they shopped. Seattle is another example of the unintended consequences of this tax. The city’s tax turned out to be far more complicated and harmful than politicians originally let on. Since the tax took effect, people are taking their business outside the city to save money. Owners of neighborhood grocers, markets, food trucks, take-out spots and restaurants are experiencing a significant drop in sales due to the beverage tax. For businesses that live off small margins, this impact is devastating. How does a local tax on foods or beverages affect working families? Taxes on groceries hurt working families the most. Washington State already has a regressive tax structure that places a greater burden on lower- and middle-income families than any other in the country. Any additional taxes on essentials like food and beverages would only make matters worse. We need to draw a line at attempts to tax food and beverages that make the most important items in our grocery carts less affordable, especially for those living paycheck to paycheck. Does I-1634 impact Seattle’s new beverage tax? No, nothing in this initiative would terminate or reverse revenue streams that have already been passed by local governments. But we have already seen the impact that this tax has had in Seattle: the tax is applied to and drives up prices on a variety of everyday items including juice drinks, teas, coffees, even kombucha and almond milk. Our coalition includes Seattle businesses who had to raise prices on a number of items to shoulder the new tax. This initiative is about protecting people from a barrage of taxes like Seattle’s from being repeated throughout the state that not only impact working peoples’ pocketbooks, but also threaten local businesses and their jobs.